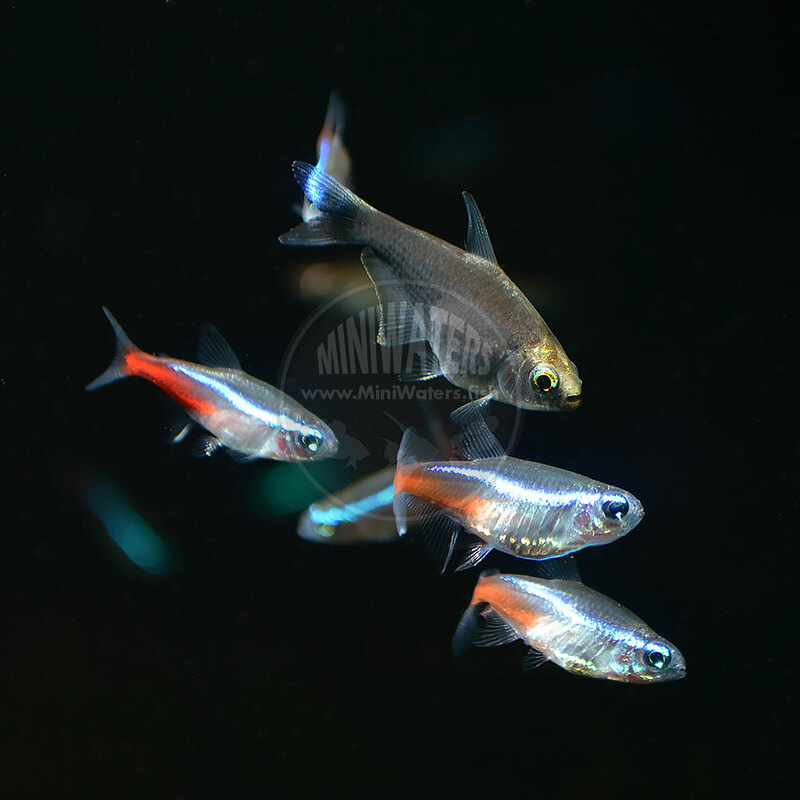 Emperor Tetras, Nematobrycon palmeri, are popular schooling fish for community aquariums, but did you know there’s a beautiful and unique color variant that’s exclusively available from captive breeders and fish farmers? 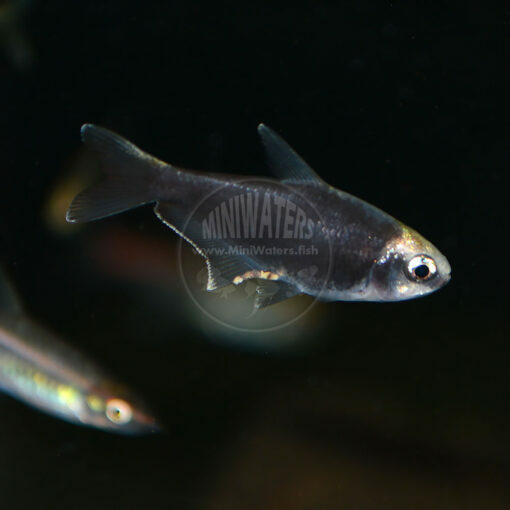 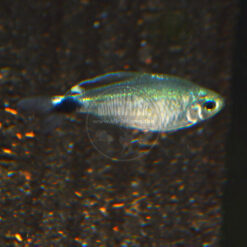 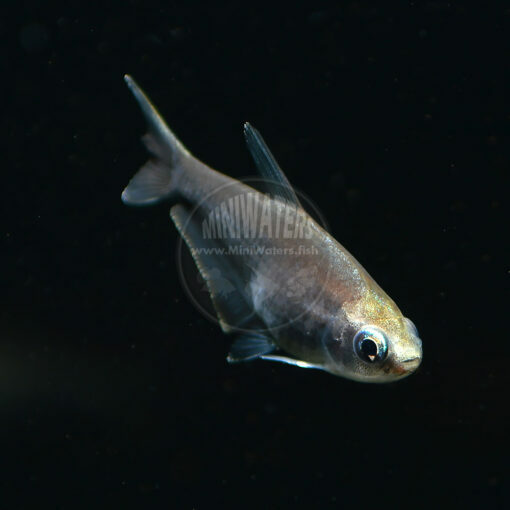 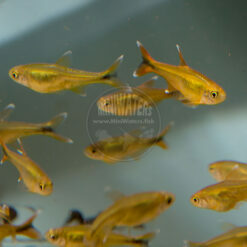 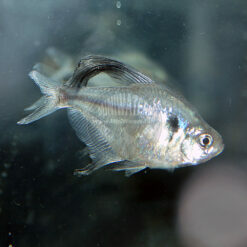 Sometimes sold as Nematobrycon amphiloxus, most people these days believe that the Black Emperor Tetra is simply a selectively bred color strain of N. palmeri. 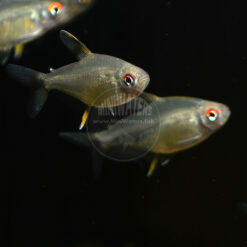 As such, anything you’d say about the Emperor Tetra would be applicable to this variety, including the reality that males have blue irises, whereas females’ are yellow-green. 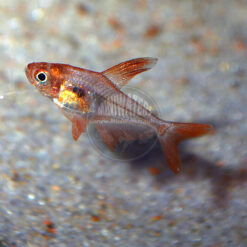 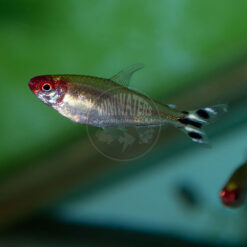 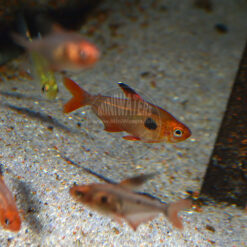 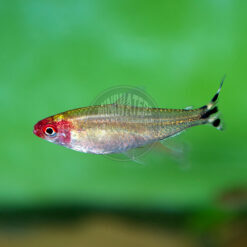 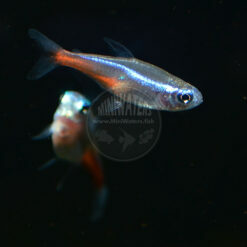 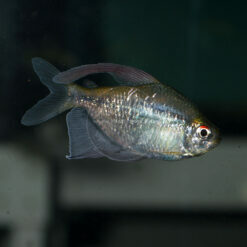 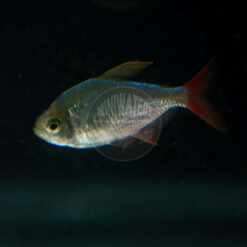 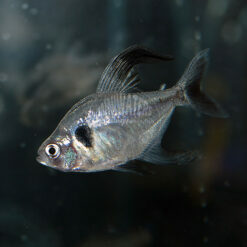 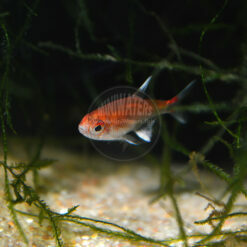 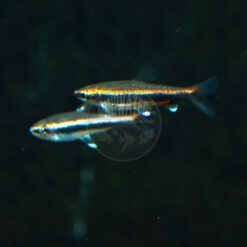 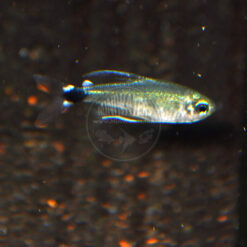 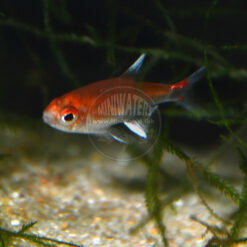 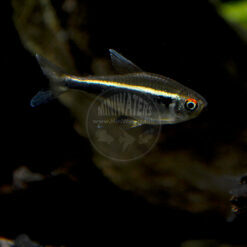 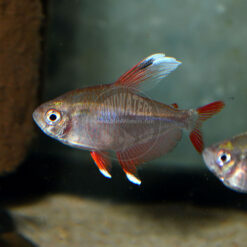 The Black Emperor Tetra remains an uncommon variety, so if it’s something you like, be sure to snap it up! 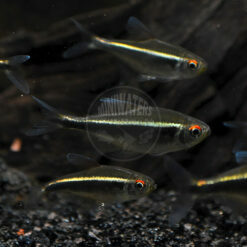 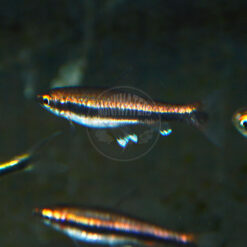 Emperor Tetras, Nematobrycon palmeri, are popular schooling fish for community aquariums. 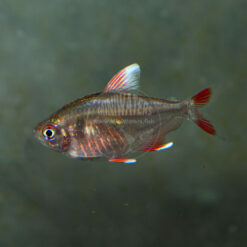 There are a few related species such as the Rainbow Emperor (Nematobrycon lacortei) and the Purple Emperor (Inpaichthys kerri), but did you know there’s a beautiful and unique color variant that’s exclusively available from captive breeders and fish farmers? 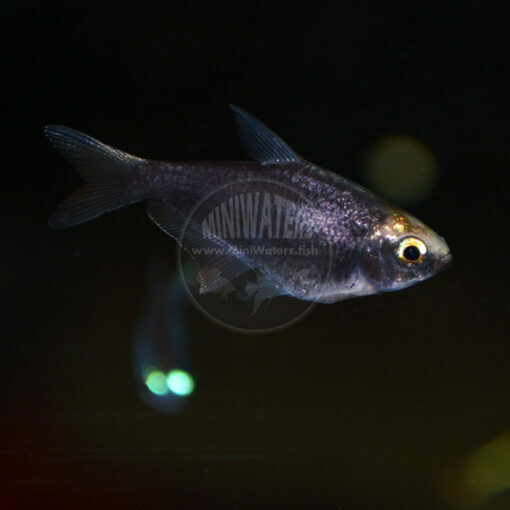 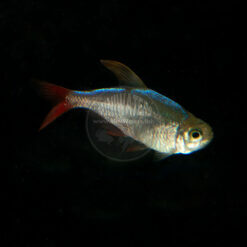 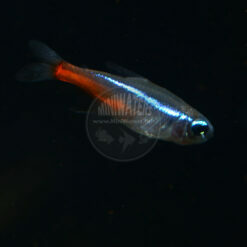 Sometimes sold as Nematobrycon amphiloxus, most people these days believe that the Black Emperor Tetra is simply a selectively bred color strain of N. palmeri. 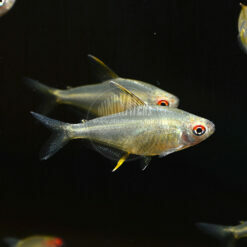 As such, anything you’d say about the Emperor Tetra would be applicable to this variety, including the reality that males have blue irises, whereas females’ are yellow-green.